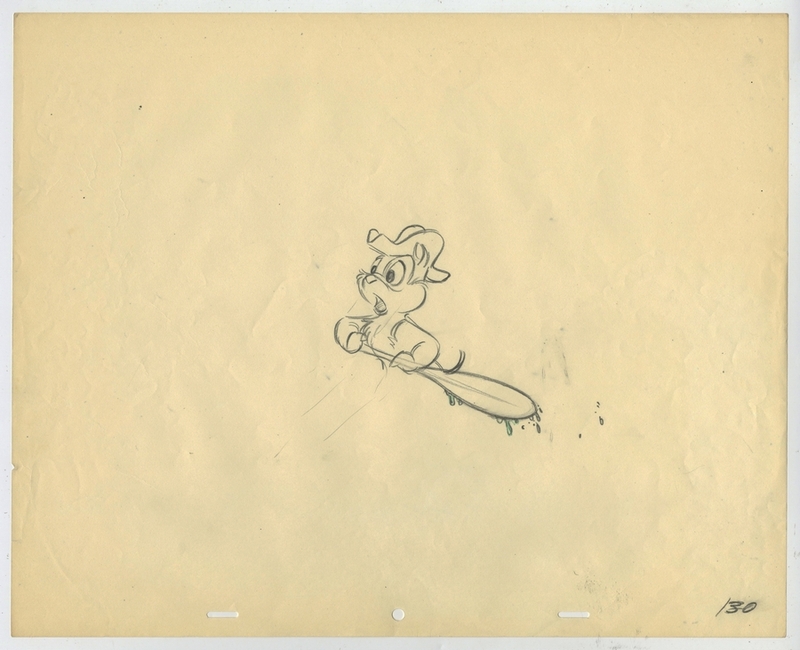 This is an original production drawing from the Walt Disney Studios production of Chips Ahoy! (1956). 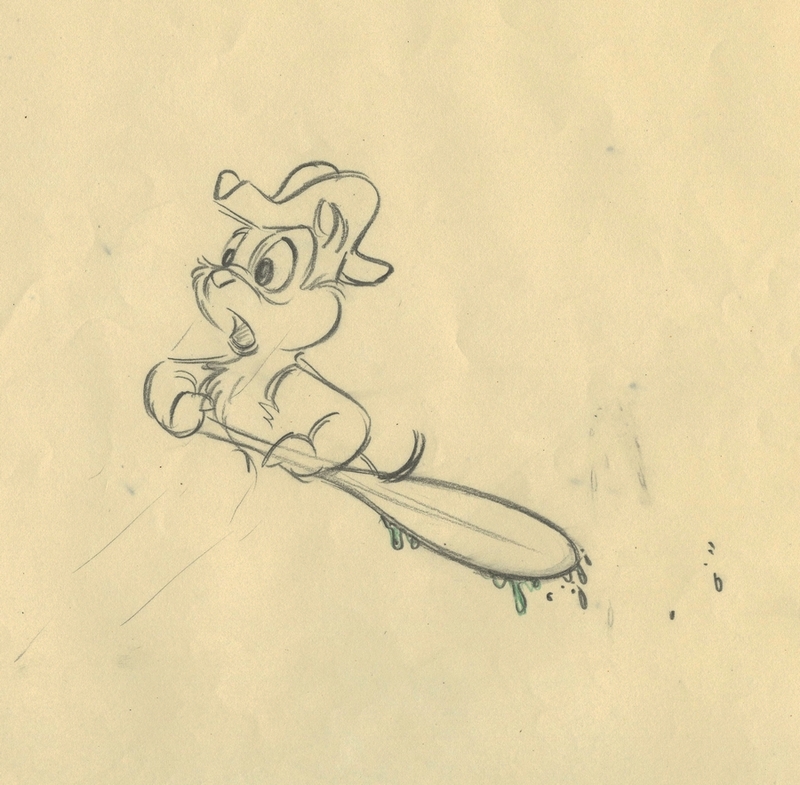 This drawing features Chip wearing a sailor's bicorn naval hat and rowing with an oar, and was created at the studio and used during the production of the Chip 'n' Dale short. The overall measurements of the piece are 12.5" x 15.5" and the image itself measures 4.25" x 4.5". The drawing is in very good condition.